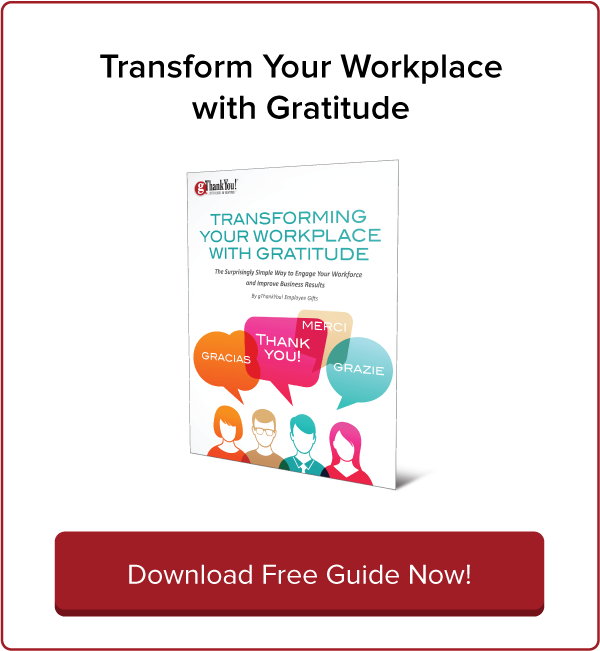 Why You Should Celebrate Easter in the Workplace | gThankYou! Spring officially begins today, March 20th! Hold on, spring weather is coming soon too. Despite the forecast, live like it’s spring. In the meantime, it’s the perfect time to plan your springtime employee appreciation activities. Not sure you should celebrate Easter in the workplace? Read on and learn why you should and how to take advantage of the joy of the arrival of spring and Easter to celebrate and appreciate employees and customers. Why Celebrate Easter in the Workplace? Sharing Easter employee appreciation is a wonderful opportunity to celebrate colleagues regardless of employee religious affiliation; it marks the beginning of spring and celebrates the joy, hope and gratitude that come with the changing seasons. It’s an opportunity to show you care. Frequent employee appreciation is key to a productive, happy workforce which is good for the long-term health of your business. Easter employee appreciation puts gratitude front and center. 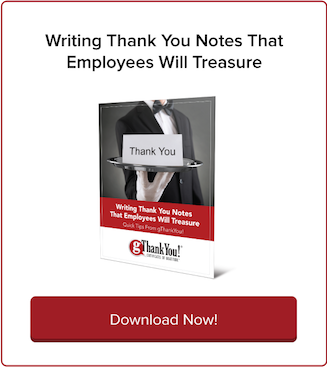 Invite company leaders to write Thank You notes to employees using this popular gThankYou guide, “Writing Thank You Notes Employees Will Treasure”. Include the notes in Easter gift baskets or have managers hand them out personally at an Easter employee party. Add a small seasonal gift or not. A sincere note of thanks can stand alone. Easter is a springtime holiday with cultural, non-religious traditions which appeal to everyone. Finding celebrations that appeal to a diverse workforce can be challenging. Easter-time is an opportunity to find ways to brighten everyone’s day with the focus on spring and the secular aspects of Easter — fresh flowers, spring decorations, Easter baskets and treats like chocolate eggs and fun themed cupcakes. Easter’s themes of renewal and resilience are universal. Regardless of religious affiliation, we can all identify with and appreciate Easter themes of renewal, growth, gratitude and new beginnings. Easter-time is a chance to honor the hope and joy of the spring season, invest in employee resilience and celebrate growth. We all enjoy the optimism that spring brings. It’s an opportune time to invest in employees’ personal growth and giving back to the community. When you show gratitude to employees at family holidays, you’re communicating you value work-life balance. Thanking employees for a job well done is one of the most reliable, affordable ways to motivate excellent performance. But it’s also important to recognize employees outside of their work, as people. Communicating that you value work-life balance is important to today’s workers. After all, if you want a workplace culture that employees love and that attracts others, having the occasional workplace fun and making sure employees feel appreciated and valued are important ongoing investments. Take advantage of the ability to tie into everyones’ excitement about the emergence of spring and build workplace camaraderie with a little Easter holiday fun. Who doesn’t enjoy an unexpected “thank you – we’re so glad you are on our team” and a chocolate bunny? Worried about what is and isn’t appropriate? Consult HR expert and TalentCulture founder Meghan M. Biro’s blog post on how to approach religious holidays as workplace celebrations. “No sheaves of palms or crucifixes allowed,” writes Biro “bunnies, ducks, candy, chocolate, colorful eggs, flowers and other items commonly associated with Easter shouldn’t offend anyone”. The folks at the Society for Human Resource Management (SHRM) always offer sound advice. This blog on making holiday celebrations more inclusive focuses on the winter holidays, but there are still valid takeaways to apply to Easter. Create a diverse planning committee. Create awareness of other religions. Be forgiving (of yourself if you make some missteps). Remember the “Hawthorn Effect”? Respondents change their behavior because they think supervisors care simply by changing something simple in the workplace environment. Show employees you care; fill your workplace space with inspiration from spring and Easter – plants, flowers, butterflies, bunnies, colorful eggs and festive Easter baskets. Pinterest is full of seasonal decoration ideas! Adults like a good Easter Egg hunt too! Weather permitting use outdoors. Use an egg hunt as an opportunity to do team building. Create teams along department lines or mix them. Fill large plastic eggs with candy as well as other prizes such as gift cards, game tickets, restaurant gift certificates and other fun surprises. Or, have employees turn eggs in for prizes that their teams can share. End the event with holiday inspired treats and an opportunity to connect with coworkers and management. You don’t need to break the budget to host a party with fun Easter-themed treats. If you can’t afford to cater an event, scale it back and provide drinks, Easter candy and cookies. Be sure to provide a big helping of gratitude and employees will appreciate the festive break. Just like the Easter Bunny, share Easter baskets anonymously or have managers hand them out as employees arrive for an unexpected surprise! Don’t limit yourself to candy. A small flowering plant or seeds and a pretty pot are a thoughtful way to share the excitement of spring. For work-groups or workplace cultures less inclined to the sugar and the treat focus of Easter, consider this thoughtful alternative. 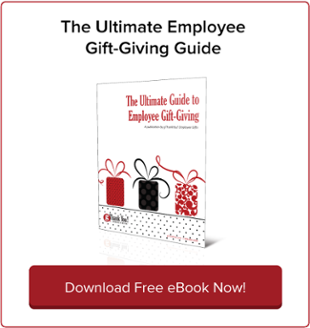 Most of your employees would be thrilled for the opportunity to help local organizations along side of colleagues. Consider finding a community project that your organization can get behind supporting and can accommodate your workforce. How about planting a flower bed for a service organization or fixing-up a local park? Provide materials for employees to assemble Easter baskets for an elder-care home or families in need. Host egg dying or cookie decorating at a shelter. The options are endless. Find ones that make sense for your organization and culture and spread Easter joy and hope to those who need it most. While many us would be happy to have a celebration full of sugar, there are easy ways to provide great-looking and slightly healthier food choices to your Easter baskets or parties. Once again, recipe sites and Pinterest can help with healthy Easter treat inspiration. Fresh fruit – skewers, pineapple flowers, etc. Eating a ham at Easter is a tradition going back hundreds of years, as far back as the sixth century. It’s the centerpiece to a big family meal that marks new beginnings and a new season. Many of us fondly remember gathering with family to celebrate Easter around a savory holiday ham. The gift of an Easter Ham is one that’s family friendly and meaningful. Everyone appreciates the gift of the centerpiece of their family holiday meal. By sharing the gift of a ham, your thoughtfulness and generosity will be remembered long after the holiday meal has passed. Sharing an Easter Ham gift is good for your business. gThankYou makes it easy for organizations to buy and share a holiday ham gift, even with distributed work-forces. gThankYou! Ham Gift Certificates allow recipients to choose any brand and any preparation of half or whole ham, at virtually all grocery chain stores in the U.S. Recipients choose the ham they want for their family and redeem their Certificate at checkout just like a Manufacturer Coupon. It’s that easy! For a more diverse workplace, giving Turkey Or Ham Gift Certificates provides recipients the choice of centerpiece to their family’s springtime celebration. This year Passover begins on April 19th and turkey is a welcome part of a Seder dinner. It’s easy to add your holiday appreciation to employees with free customizable gift Enclosure Cards with any purchase of gThankYou Gift Certificates. Check out our range of Spring and Easter Card Designs and be inspired! Easter also has a strong association with candy, which can include chocolate in all shapes and sizes, from eggs to bunnies, and baskets of colorful jelly beans. For a cost-effective fun workplace reward, share gThankYou! Candy Gift Certificates for the candy of their choice. Who won’t love that! Distribute alone or add to Easter baskets and employees will get a candy treat today as well as a chance to pick out their own favorites for later. To learn more about how gThankYou Gift Certificates work, check out the gThankYou “About Us” Video and our FAQ. Springtime is the Perfect Time to Thank Customers Too! Your business depends on loyal, happy customers so why not share some springtime appreciation and brighten their lives too. You’ll not only make their day, you’ll feel happier yourself. Gratitude is like that. The more you share your gratitude, the better you feel and the more you inspire others to share theirs. Attracting new customers is much more expensive than investing in making sure existing customers feel loved by your business. This spring, share your company appreciation with customers. Did you know that the third Thursday in every January, April, July and October are all designated “Get to Know Your Customers Day”? That means Thursday, April 18th is the perfect time to engage, thank and celebrate customers with spring and Easter in mind! For inspiration and fun ideas for thanking customers, check out gThankYou’s “6 Easy, Affordable Easter Customer Appreciation Ideas” and enjoy Help Scouts’s “25 Ways to Thank Your Customers”. You’ll have a long-list of good ideas in no time. Provide stationary and treats and have your team write thank you letters to customers. Putting your company thanks in writing makes a great impression – and handwritten notes are a way to make your business memorable. Send out invitations and throw a party for customers. Make sure employees are invited and management is there to personally and publicly thank customers. Be creative. If your organization is small and customers are local, take them to a sporting event, rent out a movie theater or host a picnic. If you are a brick and mortar business, celebrate longer and offer customers a service, experience or product for free. Invest in getting to know your customers better and you’ll learn insights into improving your business. Embrace customer feedback. Here are: “10 Ideas for Every ‘Get to Know Your Customers Day’ “. Can you remember the last time you got a “Thank You” call from a business contact — not selling anything, not responding to a customer service issue, with no other purpose other than to express appreciation? It’s rare! And that’s all the more reason to do it. For customers who are remote, consider creating a thank you video. It doesn’t have to be big-budget. Just go for sincere, thoughtful and consistent with your workplace culture. Customers will appreciate that you took the time and effort to share a thoughtful and creative thank you. Grab your tissues and enjoy this version of a customer thank you video – “This Bank’s Awesome Thank-You Video Will Have You in Tears” shared at vidyard. If some or all of your customers are remote, they don’t have to miss out on the celebration! Include them in the fun by sharing an Easter holiday treat like pie with a $5 Pie Gift Certificate from gThankYou. Spring is nature’s way of reminding us that every day is worthy of celebration. While spring captures our imagination after a long winter, celebrating and ensuring employees feel valued is a year-round activity. 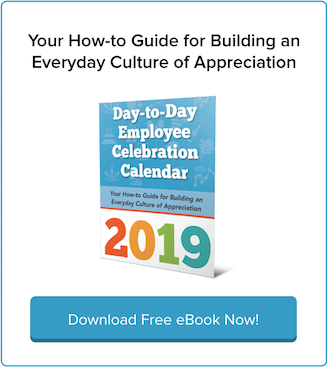 gThankYou’s 2019 Day-to-Day Employee Celebration Calendar is the perfect resource to help you plan engagement and appreciation activities that nurtures a lasting culture of gratitude and appreciation. It’s free and it’s a fun read. We’re confident you’ll find some ideas you can use right away. Happy Spring and happy Easter! From your friends at gThankYou – Enjoy!